Stracey has been serving as the hotel’s general manager for more than two decades. He is responsible for all aspects of hotel operations, from property management and innovative guest services, to staff training and building renovations. 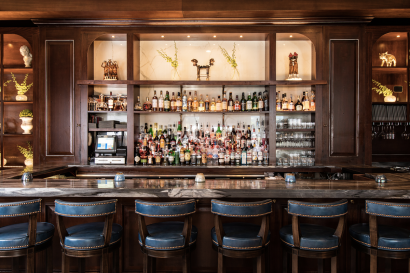 Before joining Belmond, he spent several years in San Diego where he worked as Food and Beverage Director for Evans Hotels’ two entities, the Bahia Resort Hotel and the Bahia Sternwheeler, a luxury riverboat operation. Prior to the Evans group, Stracey held various management positions with the flagship Holiday Inn property, the Holiday Inn-On-The-Bay, including Resident Manager, and Food and Beverage Director. With its timeless elegance, you may be surprised to know that our hotel was built in 1986 as part of a vision to revitalize the city. Designed to complement Charleston’s finest buildings, it was constructed with a grand Georgian staircase, Italian marble floors, and glistening chandeliers. It breathed new life into the area, attracting both businesses and visitors, and more than 30 years later downtown Charleston’s unique blend of vibrancy and heritage makes it an unrivaled and much-loved destination. 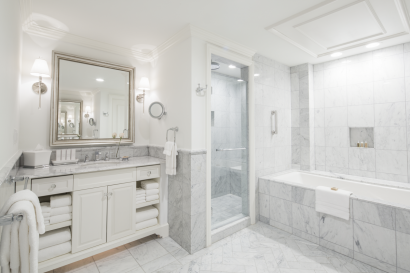 Belmond Charleston Place completed a full renovation in 2018, which included all guest rooms, meeting spaces, food and beverage outlets, and spa. Within our walls, we invite you to enjoy a range of great facilities and activities, all enhanced by our celebrated Southern charm. Whether relaxing by the pool, being pampered in the spa or salon, dining in award-winning restaurants, or browsing the exclusive boutiques, you will feel as if it’s your home away from home. Surrounded by some of Charleston’s most historic buildings and legendary landmarks, you’ll find our hotel in the center of it all. Simply step outside our doors and you’re instantly a part of this enchanting city. Just minutes away you’ll find exquisite bars and restaurants, fine art galleries, world-class shopping, and historical sites. From land to sea, we are located in the center of it all. Our in-the-know concierge team recommends these top sites: Private historical walking tour, carriage tour, Schooner Pride Sail, Fort Sumter National Monument, Middleton Place Plantation, The Old Slave Mart Museum, Charleston’s Museum Mile (six museums, five historic houses, four parks), the Gibbes Museum of Art and Arts District. The fountain at the main entrance is named “Quadriga.”The hotel commissioned sculptor John Mills, a member of the Royal Society of British Sculptors and the Royal Society of Arts, to create the signature piece. The 14-foot Greek revival column is surrounded by four 9-foot bronze horses representing the significance of the horse in Charleston history. The top of the sculpture is a Carolina bird of prey, which was long ago prevalent in the City Market. The lobby features a hand-blown Venetian chandelier set between a Georgian open-arm staircase.At 12 feet in diameter and height, the chandelier is comprised of more than 3,000 individual pieces of glass that were hand-blown in Murano, Italy. It weighs approximately two and one-half tons. 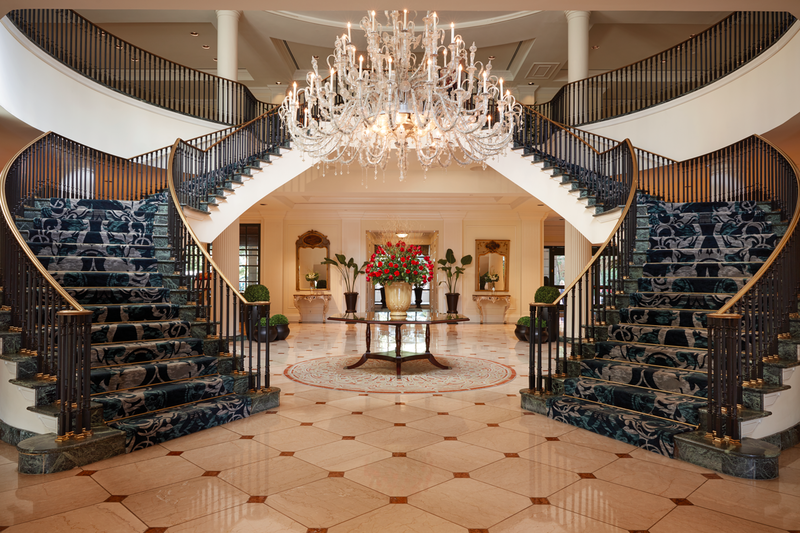 The grand Georgian open-arm staircase is the stunning focal point in the lobby.Many Southerners believe the design of the staircase not only welcomed visitors in their homes, but set the tone for conduct, given that single men were not expected to follow ladies up the stairs for fear they would catch a glimpse of a bare ankle. Babysitting services can be arranged in advanced through our concierge. Just steps from your guest room you’ll discover some of the most celebrated Charleston restaurants. Sample Forbes Four Star Southern cuisine at the Charleston Grill, share gourmet pub fare in Meeting at Market or linger over Palmetto Cafe’s tempting menu. Whatever the mood, a medley of modern gastronomy awaits. bright amidst the Southern elegance and refinement of Charleston. Reward yourself with an evening of highly creative and uniquely presented cuisine by Executive Chef Michelle Weaver. We invite you to relax in the warm, intimate ambience of this premier Charleston restaurant, and enjoy the soft sounds of nightly live jazz. that is reminiscent of Charleston’s famed porches. Here you will feel as if you were transported into botanical bliss with bright windows, a blossoming courtyard, and delectable dishes. 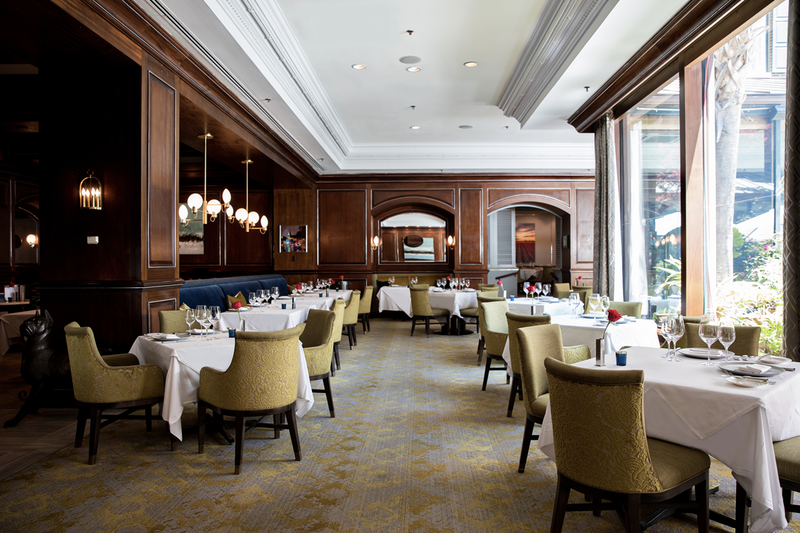 Acclaimed Chef Steven Manall focuses on innovative American cuisine using only the freshest, local ingredients. 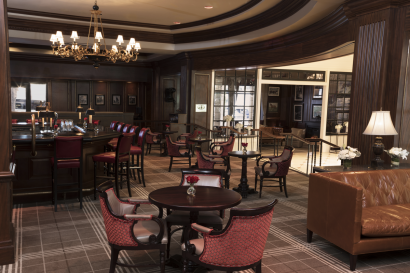 Thoroughbred Club: Classic bartenders reign over a sophisticated lounge atmosphere filled with dark wood and rich leather. 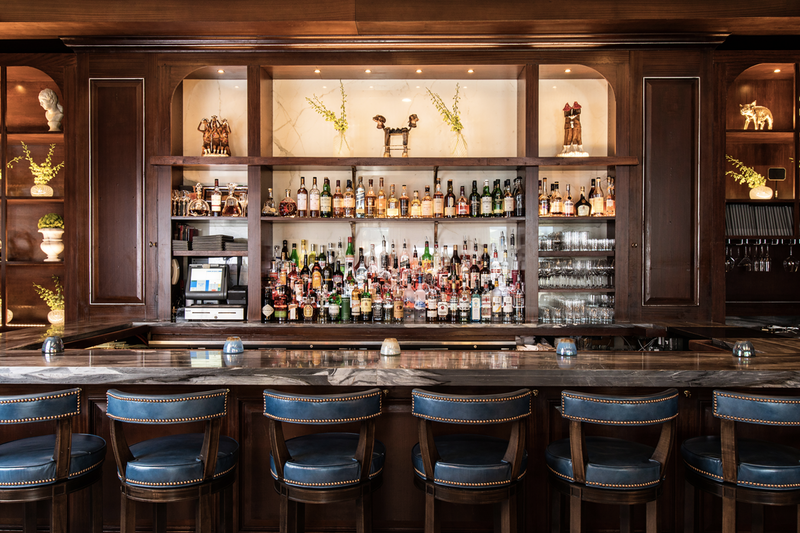 Sip and savor fine handcrafted cocktails, like the iconic Mouzon Mash, while indulging in savory bites from the tapas menu. This cozy space is complete with a fireplace, nightly live entertainment, and a lushly landscaped patio open seasonally. game. With floor to ceiling windows overlooking the historic City Market, sit back and savor the view while indulging in nearly two dozen rotating craft beers. 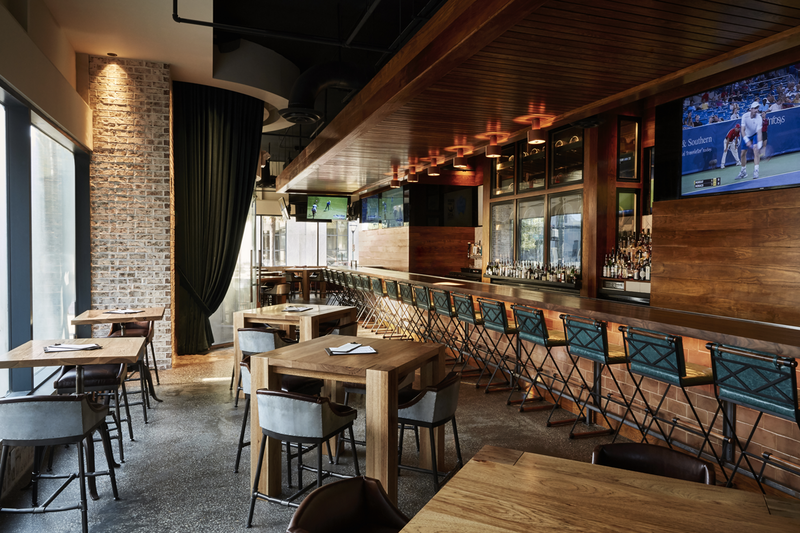 Delight in elevated bar fare such as the savory charcuterie or classic fish and chips while tuning into any of the 22 flat-screen televisions. to indulge in a refreshing cocktail and tasty bites. Be sure to take in the breathtaking vistas of historic King Street and one of the best sunset views the city has to offer. Exclusively open to hotel guests, this rooftop retreat is surely one you won’t want to miss. shop. Jump-start your morning or indulge in an afternoon re-energizer with a freshly brewed coffee or tea. Be sure to enjoy one of our pastries that are freshly baked on-site by our masterful pastry chef. 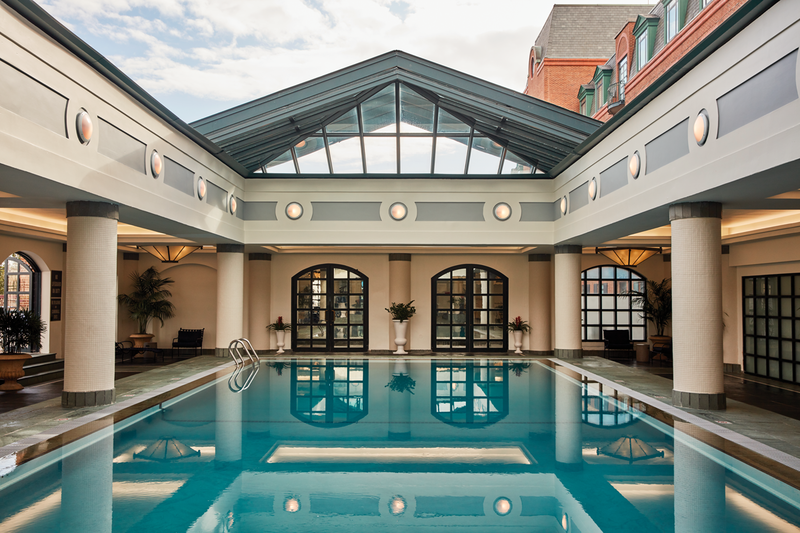 The Spa at Belmond Charleston Place: Our serene spa beckons. Take time out from the city’s pace and discover our haven for wellness. 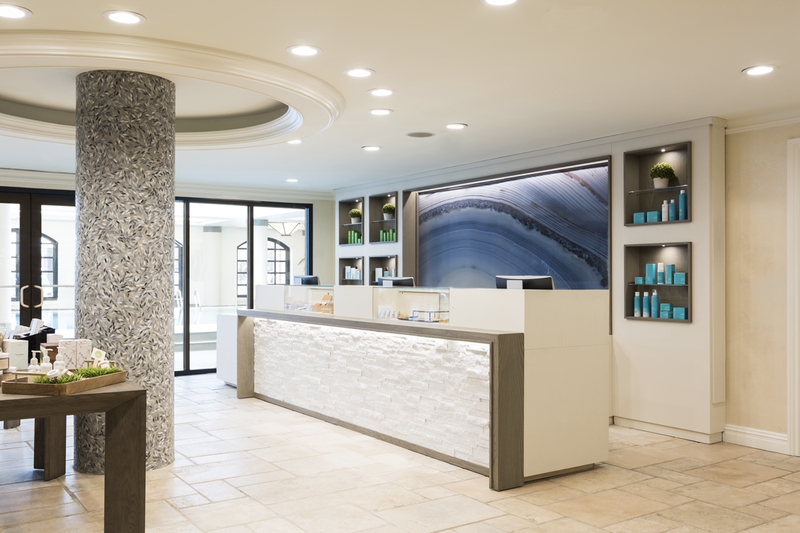 Experience the next generation of beauty with a 100% natural facial or transform your body with a detoxifying massage. Each indulgent treatment works to soothe limbs, boost energy, and dissolve tension. Jacuzzi to experience the full bliss of our cosmopolitan retreat. 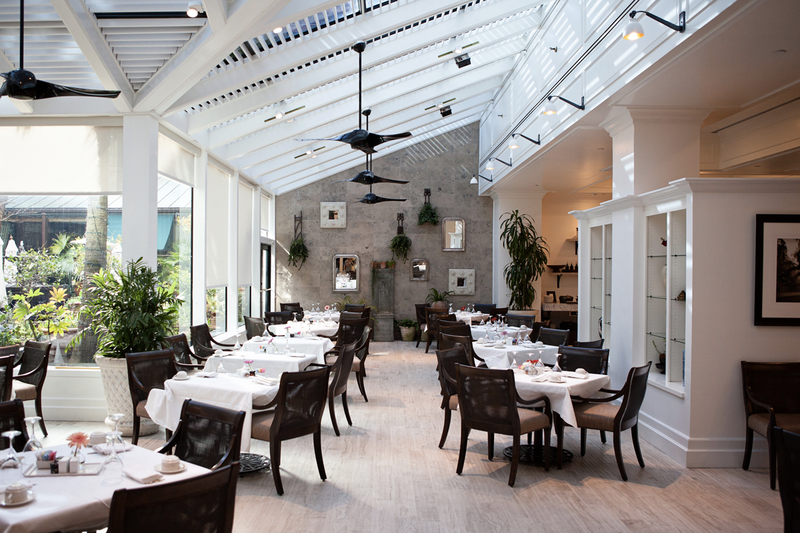 The stunning retractable glass roof creates the perfect setting to unwind and escape all year long. Lush plants surround the rooftop providing a private paradise. As you stretch out in a lounge chair and bask in the sun, indulge in a refreshing drink or snack. Fitness Center: For the ultimate, calorie-burning workout, visit our state-of-the-art fitness center. Equipped with a full range of the latest cardiovascular and strength machines, boost your energy and stay in shape during your stay. Elysium at Charleston Place: From haircuts and coloring to specialty treatments and make-up applications, our expert stylists deliver gracious service in an upscale and chic environment. 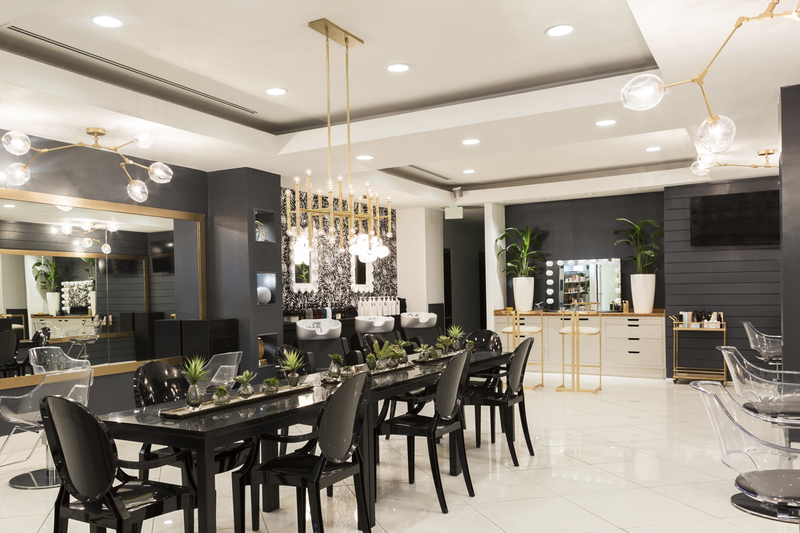 Visit our salon for a truly unique experience and unveil a new you. 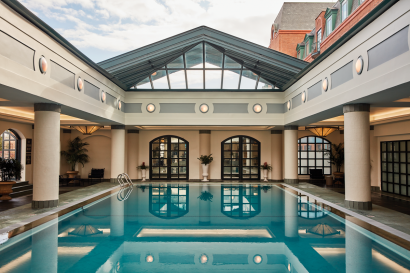 From seminars to all-important presentations, Belmond Charleston Place effortlessly blends business with pleasure. Host delegates and associates in our impressive ballroom, or invite smaller groups into fully-equipped meeting rooms for workshops or team building. With over 40,000 square feet of meeting space and the latest technology, we can make your event shine. Meeting Rooms: 28, including 17 freestanding breakout rooms, two hospitality suites, multiple outdoor spaces, and a National Historic Landmark theater. Largest Meeting Room: 14, 432 sq. ft. Located directly across the street from the hotel, the Riviera’s 1930’s Art Deco style enhances one of the most unique conference centers in the nation. 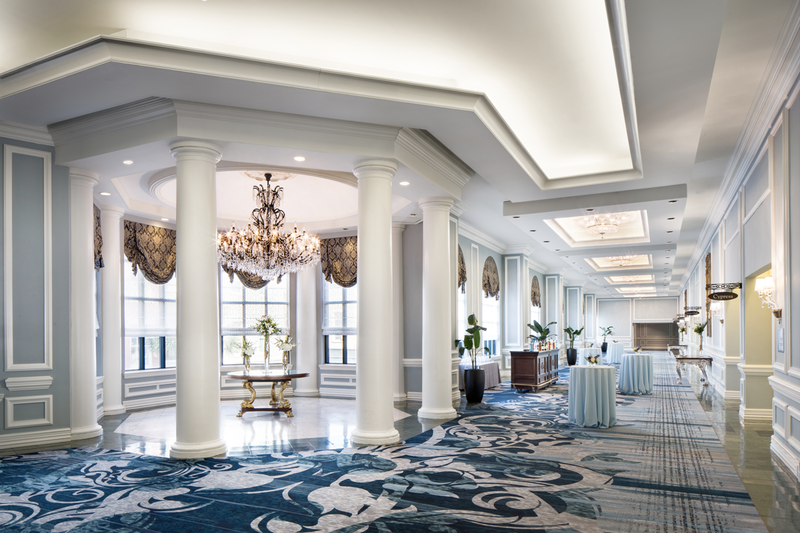 A registered historic landmark, it has been lovingly restored and combines state-of-the-art meeting technology with original historic detail. Take advantage of our special group rates, ample meeting spaces, and tenured staff to host your next unforgettable event.